Carte du port et havre de Boston avec les côtes adjacentes, dans laquel on a tracée les camps et les retranchemens occupé, tant par les Anglois que par les Américains. 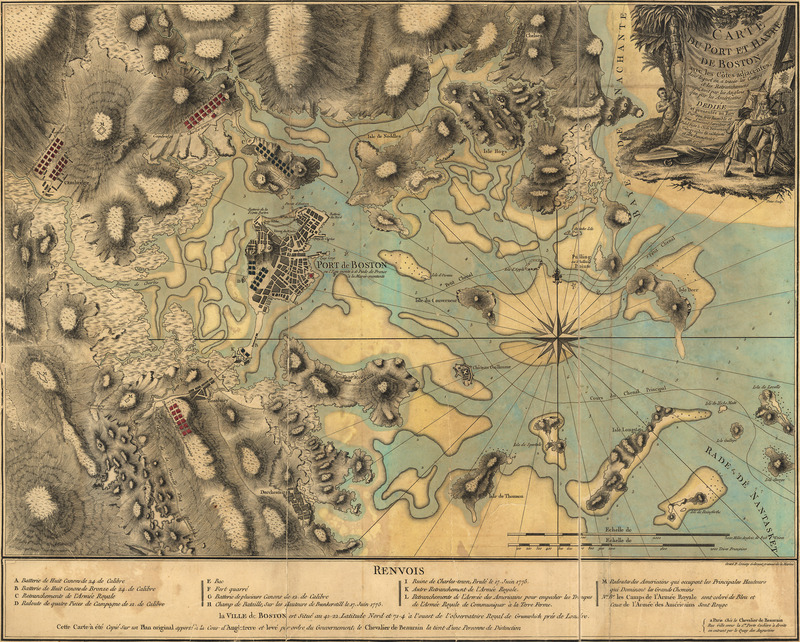 This map isn't part of any series, but we have other maps of Boston Harbor that you might want to check out. In honor of Boston's 381st birthday tomorrow (September 17th), here's another map of Boston Harbor [gmap]; this one French and 18th-Century. 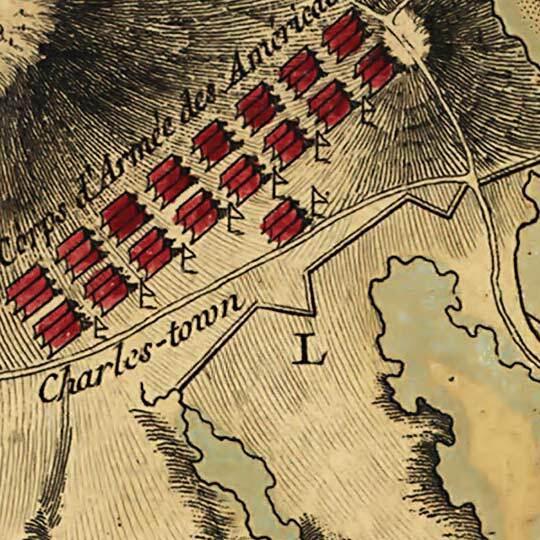 Boston Harbor was mapped quite a bit in the early stages of European colonization. It's fascinating to watch it evolve.